Ready NOW - NEW HOME FOR THE NEW YEAR!! INTRODUCING WILLIAM LYON'S NEWEST COMMUNITY IN MESA. THIS IS A TWO LEVEL PLAN 1738 SQFT. 3 BEDROOMS, 2.5 BATHS & 2 CAR GARAGE. ENJOY THE GREAT RM WITH DINING RM & KITCHEN OPENING TO PRIVATE REAR PATIO COMPLETED WITH PAVERS AND GRAVEL. A SEPARATE LAUNDRY RM THAT IS NOT CONNECTED TO THE GARAGE. LARGE FRONT PATIO,TO MEET AND GREET YOUR NEIGHBORS. ALSO INCLUDED IS A 3 YR FULL SERVICE WARRANTY . THIS HOME IS FULL OF ENERGY EFFICIENCY WITH TANKLESS HOT WATER HEATER TO LOW E WINDOWS. 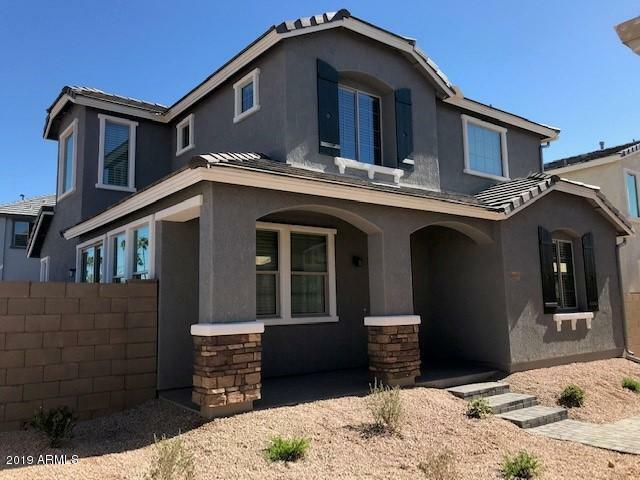 COME TAKE A TOUR OF OUR COMMUNITY WITH 6 DIFFERENT MODELS AND SOME ADDITIONAL QUICK MOVE IN HOMES TO SEE WHAT SETS WILLIAM LYON HOMES APART FROM EVERY OTHER BUILDER IN AZ. NOTICE THE DIFFERENCE OF OUR FIT & FINISH ON OUR HOMES.